Throughout history, great books have been lost. Books with forgotten knowledge; books with information that could rewrite history as we know it; or simply books that could make someone a pretty penny. Many of these works, are, no doubt, gone for good. Some, however, may still survive as lone copies hidden in musty archives, quirky bookshops, jealously guarded private collections, dismal castles, or remote caverns. A global effort has been launched to find them. These are the stories from behind the scenes. Overdue is a shared-universe anthology joining together M.H. Norris’s All the Petty Myths and Jon Black’s Bel Nemeton. Bring us stories about questing for lost books. The books may come from actual history, myth, literature (remember to check copyright status), or your imagination. Among the genres we will consider are Adventure, Gothic, Horror, Pulp, Mystery, Magical Realism, Thriller, Urban Fantasy, and Weird Fiction. 1) Feature innovative storytelling and excellent writing. 2) Revolve around the search for a lost book (see “The Set-Up” and “Sample Books” below). 3) Fit into the parameters of the Shared Universe (see “Defining the Shared Universe” below). 4) As part of the Shared Universe parameters, the main action must occur in the present day. Flashbacks and vignettes exploring the history of a book, however, are perfectly acceptable. 5) Also as part of the Shared Universe parameters, stories must take place in our world (Sorry, no alt-history, steampunk, stories set on other planets, etc.). Over the millennia, many books have been lost. The Booker Foundation (see Notable Bits of Worldbuilding below) is paying handsomely for any of these missing treasures that can be returned to the light for humanity’s benefit (at least that’s the foundation’s official story). To aid in the retrieval of especially desirable works, the Foundation may even pony up some cash or equipment in advance. While the Booker Foundation is fronting the cash, the project is co-chaired by Dr. Vivian Cuinnsey, Professor of Linguistics, and Dr. Rosella Tassoni, pioneer of Forensic Mythology. The call has been put out to respected archaeologists, historians, linguists, anthropologists, antiquarians, and book scouts. But the foundation is not fussy (indeed, the Booker Foundation’s founder has a shady reputation of his own). It is equally willing to work with mercenaries, morally ambiguous archaeologists, treasure hunters, gentleman and gentlewoman rogues, warlords, and even the street kid who got lucky (or unlucky) and snatched the right backpack. Alexandria: Yes, we’re all sorry the Great Library and its contents are no more. But, for that very reason, it has become cliché. If you intend to use it in your story, find a new approach. Show us something we’ve never seen before. 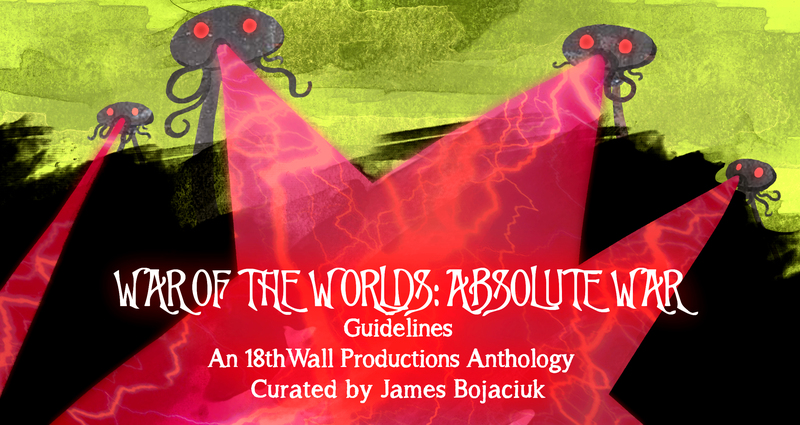 The Cthulhu Mythos: Submissions would do well to stick to minor tomes. Even then we’d prefer a new Mythos book. If you plan on using one of the major tomes (The Necronomicon, Unaussprechlichen Kulten, Cultes de Goules, the King in Yellow, etc.) be prepared not only to innovate but to dazzle. Querying the editors to ensure we think you’re on the right track would be a great idea. Suppressed/Hidden by the Vatican: While not quite as overused as the above two, in recent years it has still come to feel like the “default setting” for this kind of story. If you go this route, make sure your story doesn’t read like a Da Vinci Code clone (and accurately represents Catholicism; there’s no reason to look silly). Note: if submitting a Supernatural story, take care that the supernatural element does not become a story-telling crutch. While the editors are not opposed to such stories, any supernatural elements need to enhance the story. Overdue brings together two separate series. At its heart, All the Petty Myths is a forensic-focused Procedural Mystery while Bel Nemeton fuses Historical Fantasy and Modern Pulp. Both, however, borrow freely from the conventions and flavors of other genres and are open to a range of styles. Protagonists: Both worlds feature strong, competent, and cerebral protagonists and supporting characters. Research: Each world is supported by extensive research—from both the author and the characters—which helps drive the flavor and style of stories. “Real” World: Superficially, both stories take place in our world. Any differences lurk beneath the surface or hide in dark corners. Bel Nemeton, especially, will tinker with small details of history…but it all washes out to the present we know. Magic and the Supernatural: Both series plays magic and the supernatural close to the chest, while extraordinary events inviting supernatural explanation do occur, mundane explanations (even if implausible) usually present themselves. This approach is acceptable as is a completely mundane presentation but avoid explicitly, unambiguously supernatural elements. These do not keep with the series’ style. Action: Bel Nemeton’s protagonists display a two-fisted streak that is less common in All the Petty Myths. This may reflect the differing situations in which characters find themselves rather than intrinsic difference in capabilities. As long as it meets the anthology’s other parameters, any level of physical action (including none at all) is acceptable. The following three characters from the shared universe are part of this anthology’s backstory. They are available for inclusion in submitted stories with the caveat that their presentation may be edited to conform to existing canon or anticipated future story arcs. If you have concerns regarding whether a particular treatment of these characters is appropriate, please feel free to query. The best way to get to know them to read their books! Biography: Dr. Rosella Tassoni currently is based in Washington D.C. where she has opened up her own private investigation office, All the Petty Myths. She is a first-generation Italian American and is the oldest of three siblings. 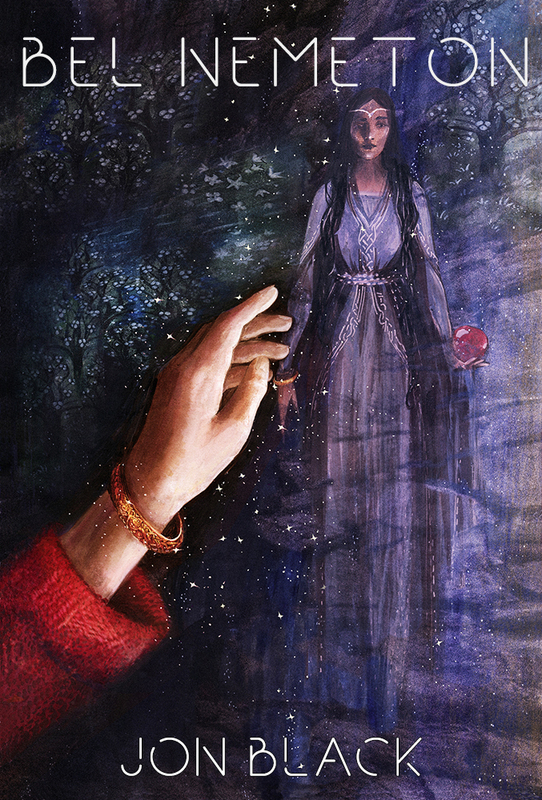 From an early age, Rosella has been fascinated with the idea of people who hide crimes behind urban myths, legends, and well-known folklore. To further that interest, Rosella is working to formally establish the field of Forensic Mythology and have it recognized by the American Academy of Forensic Sciences and similar organizations around the world. Currently, Rosella is best known for the events that happened in Huntington, New York in the fall of last year (see “Midnight” in All the Petty Myths). While on a case, she was almost murdered. The encounter left her with physical and mental injuries, both of which she is still recovering from. Appearance: Early-30s, but people often think she’s younger. Shoulder length brown hair, large brown eyes. Average build and average height. Rosella often wears light long-sleeve tees and loose blouses to hide the long, deep scar on her right arm she received in Huntington. Biography: Chair of the Celtic Linguistics Department at a prominent university. Her academic specialty is extinct Celtic languages, particularly those of the British Isles. Her interest in Celtic language, culture, and history is personal as well as professional, she is a second-generation Manx-American, visiting the Isle of Man extensively during her youth and learning Manx from her grandfather as a young girl. Brought in to examine Celtic inscriptions discovered in Central Asia, that find ultimately led Cuinnsey to France’s Brittany Peninsula and the tomb of an individual closely matching the Merlin of myth and legend. Among the objects in the tomb were more than 1,000 parchment sheets containing coded writing. The slow process of deciphering those parchments has become her major professional focus. Together with Dr. Rosella Tassoni she co-administrates the lost books project and the grant that funds it. Personality: Methodical and analytical. Principled, but willing to indulge in a little bit of “ends justify the means.” Intensely loyal. Will eagerly dust it up with bad guys or risk life and limb at to achieve important objectives. Appearance: Late-30s, black hair, gray eyes. Biography: A wealthy oil and gas man, Booker earned a second fortune as a treasure hunter (some of his past acquisitions have been ethically and/or legally questionable). To the surprise of many, he is a former Rhodes Scholar. Booker was Dr. Vivian Cuinnsey’s partner in the discovery of Merlin’s tomb. Of late, Booker has tried to walk the straight-and-narrow, even creating the Booker Foundation to help bring lost treasures back into the light for the common good. While his foundation provides the funding, he takes a hands-off approach to the lost books project, leaving it in the more than capable hands of Drs. Tassoni and Cuinnsey. Personality: Curious and pragmatic (sometimes to the point of moral ambiguity). Though not a linguist, he has a knack for languages. Literally and figuratively a gambler, he frequently uses gambling metaphors. If he believes being underestimated will gives him an advantage, will downplay his intelligence and knowledge-base. Appearance: Late-40s, shaggy silver hair, blue eyes, athletic physique. “Mr. Conway? Dr. Cuinnsey will see you now,” the grad student announces, gesturing towards the open paneled door. …Behind her desk along the far wall and beneath a set of high windows is a large abstract painting. Pastel orbs revolve around countless lines that swim through blurry colors and meet at chaotic angles. “Is that a Kandinsky?” I ask. These are included for inspiration and flavor. They are examples of the kinds of things we’re looking for. If one of them strikes your fancy, however, feel free to use it. In this case, you might want to query first, just so we don’t get 10 stories about Austen’s Sandition. The Annals by Tacitus: Volumes 7-10 and parts of 5, 6, 11, and 16 from this seminal work on Roman history are missing. What gaps could they fill in on the inner workings of Roman governments, the lives of emperors and senators, and other mysteries of the empire? Etruscan-Latin Dictionary by Claudius: Attributed to the Emperor Claudius and written during the 1st century BC, this work could allow translation of the thus-far undeciphered Etruscan texts, possibly revolutionizing our understanding of the Mediterranean during antiquity. Inventio Fortunata by Author Unknown: Alleged to chronical the travels of an unnamed Franciscan monk in the North Atlantic, including the geography and zoology of the Arctic. Copies survived long enough for Gerard Mercator to consult it and use it to draw the arctic in his revolutionary map. What else did it contain? Sandition by Jane Austen: Revolving around a young person’s visit to a seaside town (sound familiar?) was allegedly incomplete at the time of her death. But was it really? Austen believed the novel would “tantalize posterity.” Why? What did Austen know? And did someone decide it was better if the novel’s final chapters never saw the light of day (at least above the waves)? Strange things happen in small seaside communities. These, likewise are for color and flavor, examples of the types of texts that would easily fit into the anthology. They, too, are available for use if it strikes you fancy. Definitely query first, both to avoid overlap and to ensure submitted stories don’t conflict with canon. The Akwar Plates (from Bel Nemeton): “Books” of beaten copper sheets bound together and inscribed in an unknown alphabet. Acquired by an explorer in West Africa during the 19th century, he claimed them to be 7th century texts from the Empire of Akwar (Empire of Ghana) recording myths and folklore. 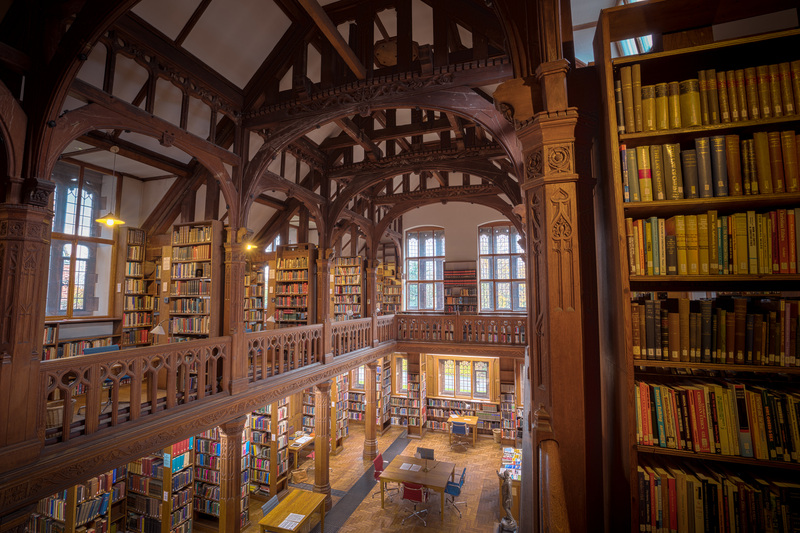 At one point housed at Oxford’s Bodleian Library, they have since disappeared. Donaukelten und Roms Grenzen (from Caledfwlch): Published in the late 18th century, one of the earliest works about Noricum, a Celtic kingdom occupying much of Austria and Slovenia before Rome absorbed them in the First century. The text uses a variety of classical and archaeological sources not available to later writers as well as preserving a number of inscriptions in the untranslated Noric language for which the originals have been lost. A copy was rumored to be kept in the Hapsburgs’ imperial library. The Early Works of Margaret McConnell (from All the Petty Myths): Dr. Margaret McConnell is one of the greatest mythologists of the 20th Century. Her early works from the 1920s-1940s (three volumes, one for each decade) were not widely printed and thus are extremely rare. After Jazz Street, one copy of each rests in the personal library of Dr. Rosella Tassoni but there are still others out there. These volumes record the various notes and adventures of what is becoming known as Forensic Mythology. Margaret McConnell is one of Rosella’s biggest influences. 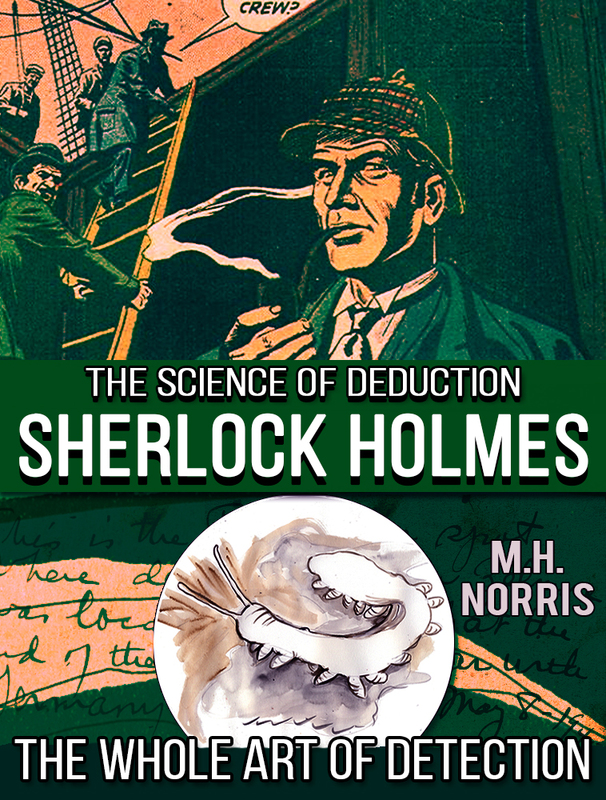 The Whole Art of Detection (from All the Petty Myths via Sir Arthur Conan Doyle’s “The Adventure of the Abbey Grange”): The rumored collection that Sherlock Holmes himself created detailing his cases and his secrets to success. Dr. Rosella Tassoni doesn’t believe the book exists. A note if you choose to use this one: the manuscript will either be incomplete or a fake as the real, finished draft is already in the possession of soon-to-be-Dr. Adalaide Baynes (cf. The Whole Art of Detection). Featuring M.H. Norris’ “Midnight,” which debuts her new series. Dr. Rosella Tassoni, a Forensic Mythologist, is hired by the FBI to consult on a case where seeming old world folklore is cross-contaminated by internet fauxlore. High school students are being murdered. Will the experience break her? A detective who wishes to write his own mysteries, but can’t bring his words to life, is now trapped in a “Locked Room” mystery by Marc Sorondo. Is the killer a ghost, or a clever human? A mournful soul on a lonely highway, calling for death, is the center of a murder case in D.J. Tyrer’s “Tuttle and Gretel.” What is the Vanishing Hitchhiker? Presented by award-winning mystery author M.H. Norris, All the Petty Myths confronts folklore and urban legends with detectives, FBI agents, and private investigators. She was Harry Houdini’s chief investigator. 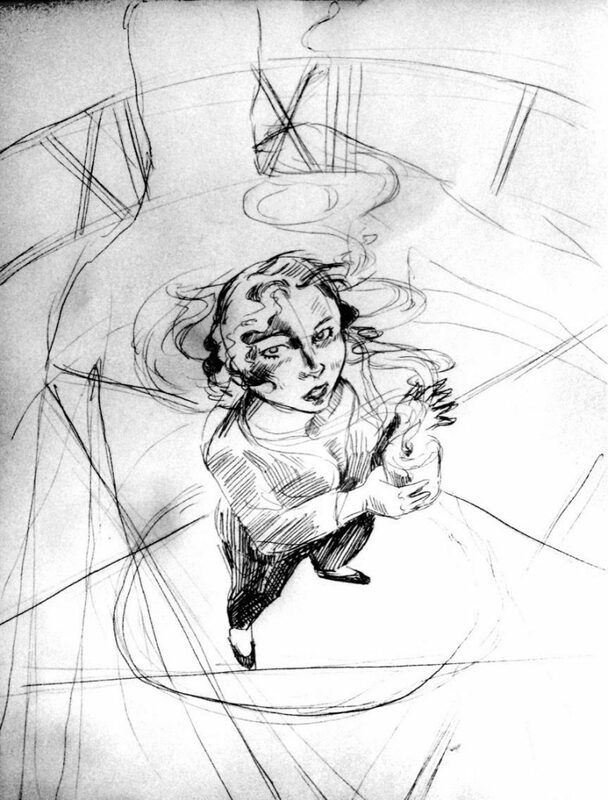 She testified before congress about psychic fraud, and discovered all the tricks of the seance trade. 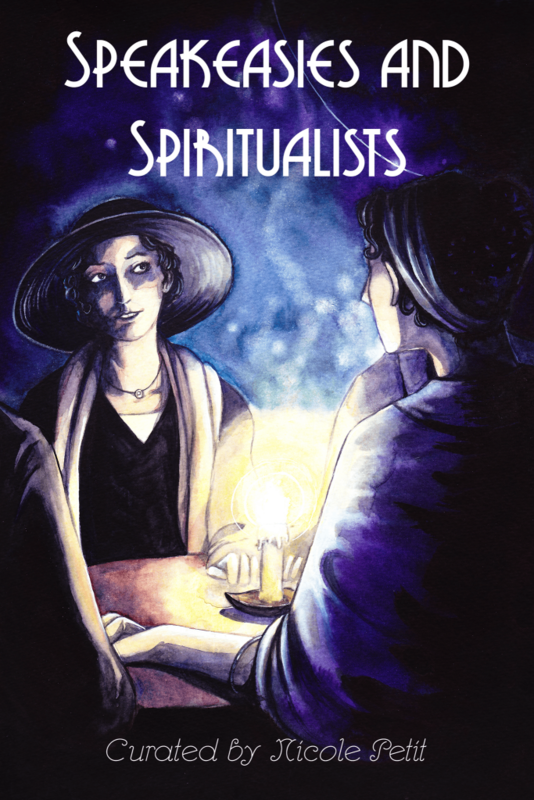 Speakeasies and Spiritualists also presents eight stories inspired by Rose Mackenberg and the spiritualists Jazz Age milieu. Contains M.H. Norris’ “All that Jazz” and Jon Black’s award-winning “Gabriel’s Trumpet,” both of which connect to and expand their fictional universes. Payment: 5% of the gross profit will be paid for each accepted story. These payments will be issued to you at quarterly intervals. Reprints? Yes, reprints are absolutely welcome. Just let us know in your email that the submission is a reprint. Please let us know how you would edit it to conform to the shared-universe design of this collection, however. M.H. 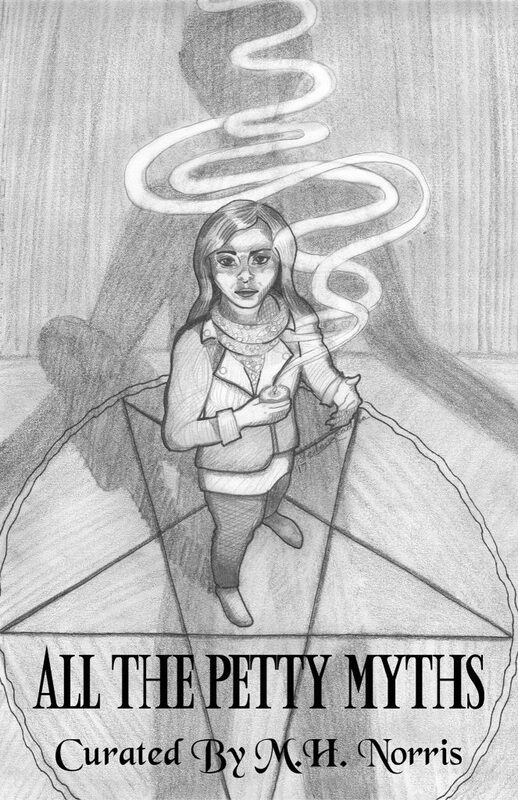 Norris most recently launched her mystery series, All the Petty Myths, which combines forensics and mythology. The first volume featured the premiere story “Midnight,” which won #2 Best Mystery Novel in the 2018 Preditors and Editors Readers’ Poll. Other stories in the collection took home #1 Science-Fiction/Fantasy Short Story and #1 Steampunk Short Story. She is also known as the mystery maven and sci-fi sorceress. Her first novel, Badge City: Notches, earned her the 2016 Pulp Ark New Pulp Award for Best Novella, and her second novella, an All the Petty Myths spin-off, The Whole Art of Detection, took #4 Best Mystery in The 2016 Preditors and Editors Readers’ Poll. 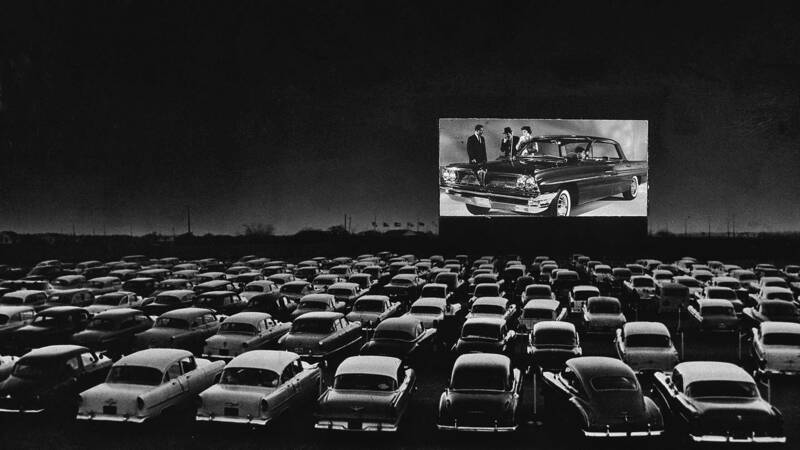 Her short fiction has appeared in The Lemon Herberts, Saucy Robot Stories and Glass Coin, Speakeasies and Spiritualists, and a forthcoming story in Silver Screen Sleuths. She is co-host and co-producer on The Raconteur Roundtable, a popular podcast focused on in-depth, intimate interviews with authors, actors, and other creators. In addition, she is the Television Coordinator for The Time Travel Nexus. Jon Black is your basic “absinthe and BBQ” guy from Austin. He is the author of the Jazz Age supernatural mystery Gabriel’s Trumpet, voted “Best Short Story, all other genres” in the 2017 Preditors & Editors poll. Bel Nemeton, the first book in his series combining 6th century Arthurian historical fantasy with 21st century progressive pulp, is now available from 18thWall. He also writes for roleplaying games and is an occasional contributor to Steve Jackson Game’s Pyramid. His nonfiction includes extensive work in music history and music journalism. Look for him at jonblackwrites.com/, https://www.facebook.com/JonBlackAuthor/, and, when he remembers, on Twitter at @BlackOnBlues.